The No. 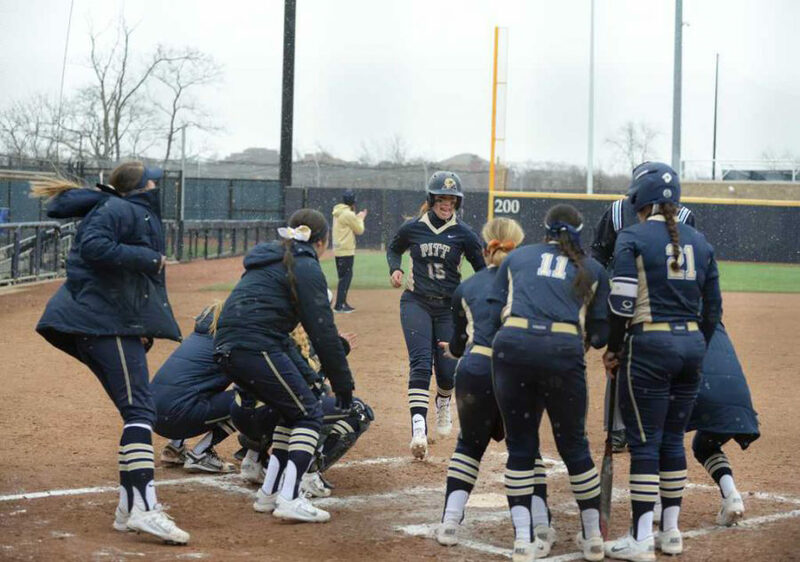 24 Pitt softball team’s first weekend as a nationally ranked team went a lot like the opening weekend that earned the team its ranking — flawlessly. 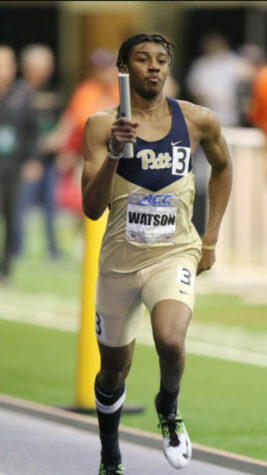 Coming off five wins in five games at last weekend’s season-opening University of Central Florida Invitational, the Panthers traveled to Tallahassee, Florida, to take on the Nebraska Cornhuskers and Northwestern Wildcats in the ACC/Big Ten Challenge. 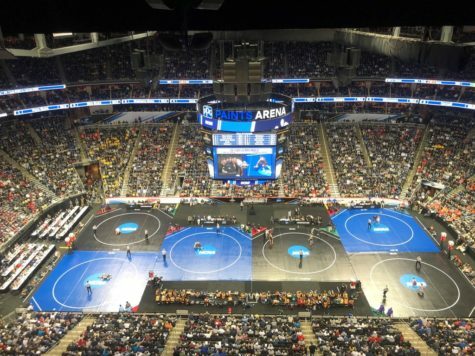 Pitt knocked off Nebraska in five innings Friday night, 9-1, then handled the Cornhuskers again Saturday morning, 6-2. That night, the Panthers defeated Northwestern in extra innings, 2-1, and capped off the weekend with a 6-4 win over the Wildcats Sunday morning. 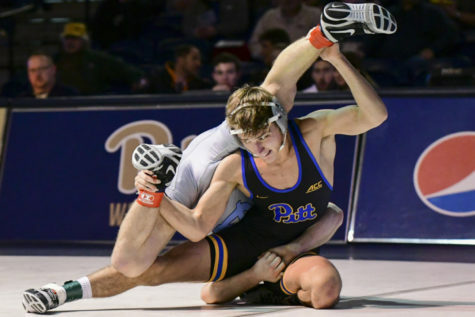 “From the beginning of the season on, we have been extremely resilient with our play in general,” Pitt head coach Holly Aprile said Saturday in a press release after the Panthers’ extra-inning win. 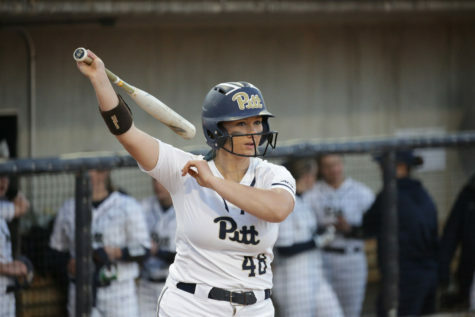 Pitt junior cleanup hitter Giorgiana Zeremenko entered the weekend only 2-for-14 on the season, but it didn’t take long for her to break out of her slump. After Panthers junior McKayla Taylor was hit by a pitch in the bottom of the first inning, Zeremenko brought her home with an RBI double to right field for the first run of the game. Nebraska loaded the bases in the top of the second, but Pitt junior Kayla Harris escaped the jam by inducing a pair of flyouts. Panthers sophomore Olivia Gray singled and stole second base in the bottom of the second, then came home to score on sophomore Alexis Solak’s RBI single to make it a 2-0 ballgame. By the end of the third inning, the game had turned into a rout. Pitt senior Kaitlin Manuel delivered a two-run single, then Gray followed with an RBI double to make it 5-0. That brought first-year right fielder Connor McGaffic to the plate, who delivered a three-run homer — the first of her college career — to make it an 8-0 Panthers lead. 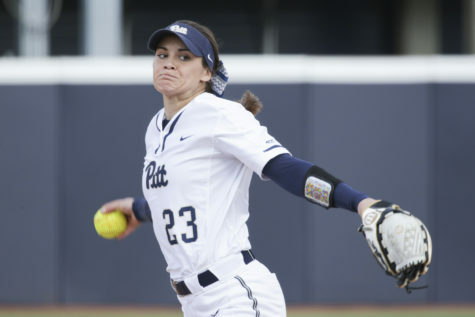 The Cornhuskers made it on the board in the top of the fifth because of an error by McGaffic, but Solak responded with an RBI double in the bottom of the fifth to put an end to Pitt’s 9-1 victory. Harris gave up zero earned runs in five innings to pick up her third win of the season. First-year phenom and reigning ACC Pitcher of the Week Brittany Knight stepped into the circle for the Panthers Saturday morning against Nebraska, putting her 3-0 record and 0.00 ERA on the line. Knight would give up her first earned runs as a college pitcher, but did more than enough to pick up her fourth win. Zeremenko again started off at the plate for the Panthers, opening the game up with an RBI single up the middle. The Cornhuskers got to Knight in the bottom of the first though, scoring two runs on four consecutive hits to take a 2-1 lead. A pair of two-run doubles by Solak and Taylor gave the lead right back to Pitt in the top of the second. Buoyed by the lead, Knight held Nebraska scoreless for the next five innings, and sophomore Sarah Dawson came out of the bullpen and pitched a 1-2-3 bottom of the seventh to close out a 6-2 win for the Panthers. 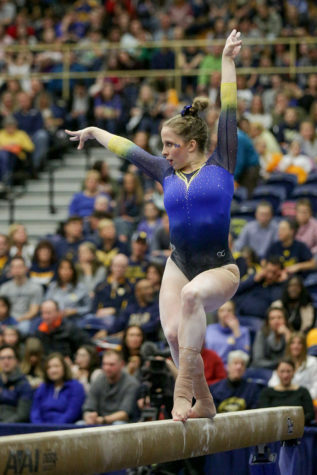 Harris came back out for her second game of the weekend Saturday night against Northwestern, tossing a one hitter over eight dominant innings of work to improve to 4-0. The Wildcats took an early lead on a two-out RBI single by designated hitter Kenzie Ellis in the top of the first inning, and for a while, it looked like that would be the difference in the game. 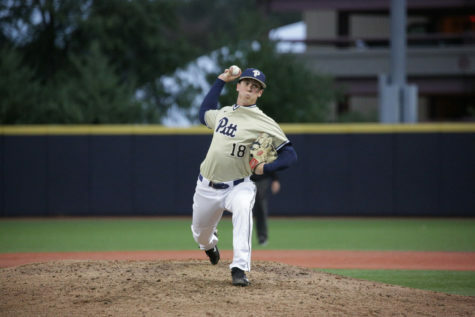 The game continued with a standstill for six-plus innings, and Pitt entered the bottom of the seventh needing a run to avoid its first loss of the season. Manuel delivered for the Panthers, lacing an RBI double down the right field line to send the game into extra innings. Harris held Northwestern scoreless in the top of the eighth, and Zeremenko singled home Taylor with two outs in the bottom of the eighth to clinch the walk-off 2-1 win for Pitt. 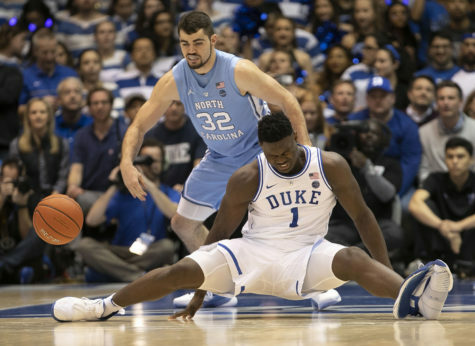 Knight started the final game of the weekend for the Panthers Sunday, and for the first time, she didn’t appear to be in complete control of the game. Knight allowed three runs on seven hits in 3 2/3 innings, but Harris finished off the final 3 1/3 innings by allowing only one run on three hits in Pitt’s 6-4 win over the Wildcats. Northwestern scored first on an RBI single by shortstop Marissa Panko in the top of the first, but the Panthers tied it up on Solak’s sacrifice fly in the bottom of the second. A two-run single from Ellis gave the Wildcats a 3-1 lead in the bottom of the fourth, prompting Aprile to call on Harris to relieve Knight. 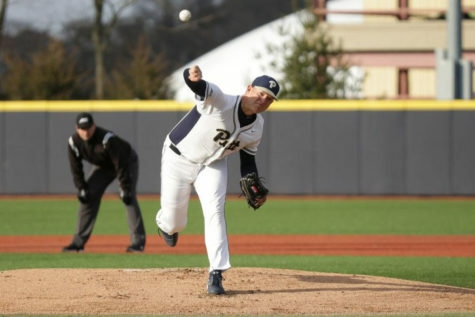 Harris got out of the inning without allowing any more damage, then posted a zero in the bottom of the fifth, giving Pitt a chance to strike in the top of the sixth. The Panthers took advantage, tallying five runs to take a 6-3 lead before holding on for the 6-4 victory. 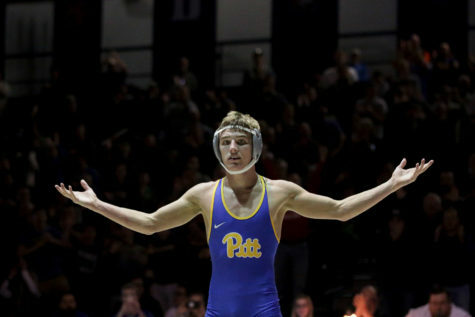 The Panthers are now 9-0 overall and they will look to keep that perfect record intact next weekend at the Troy Tournament in Troy, Alabama. Pitt will begin the tournament by facing off against Lipscomb Bisons for the first of five games at 12:30 p.m. Friday, Feb. 24.